Award-winning chef Fabio Trabocchi’s new restaurant Fiola at Dopolavoro Venezia, is an exclusive epicurean experience at JW Marriott Venice Resort & Spa. The Michelin-starred chef and restaurateur, Fabio Trabocchi will take over the operations of JW Marriott Venice Resort & Spa’s fine-dining restaurant. Set to open in April 2019, the hotel’s existing fine-dining culinary concept will be reinvented as ‘Fiola at Dopolavoro Venezia. 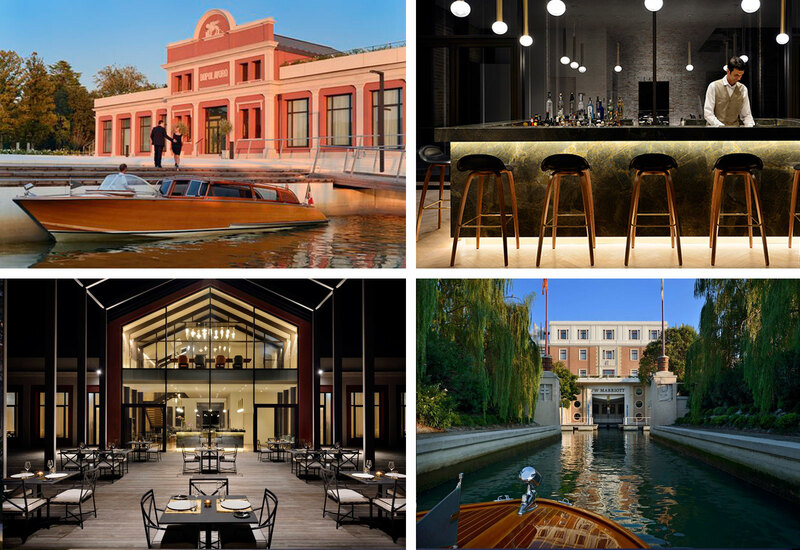 According to JW Marriott’s recent press release, ‘Fiola at Dopolavoro Venezia’ will feature a sophisticated yet luxurious ambiance coupled with striking architectural details that date back to the 1920s. Nestled inside JW Marriott Venice Resort & Spa, the city’s premier hotel that enjoys a splendid location on Venice’s private island, Isola delle Rose, Fiola at Dopolavoro Venezia will incorporate culinary highlights from the celebrated menu of Trabocchi’s existing Michelin-starred restaurant, Fiola DC. Guests can anticipate dishes that combine seasonal ingredients locally sourced from Venice’s famous, centuries-old Rialto Market, the Adriatic Sea, as well as vegetables and exclusive olive oil from the private island’s own vegetable garden and olive grove. The menu will change daily and provide a nostalgic twist on traditional Venetian cuisine prepared with a modern presentation and standout dishes such as Fiola Lobster Ravioli, Bassano White Asparagus and Caviar, Foie Gras alla Veneziana, Moeche col pien (soft-shell crabs from the Venetian lagoon). The menu also features Venetian Style Tuna Crudo (a daily-changing crudo option, finished tableside), and Vanilla Fried Pastry Cream and Corbezzolo Honey. Guests can also enjoy Trabocchi’s modern take on the classic Venetian cicchetti (local bites) for the Aperitivo. 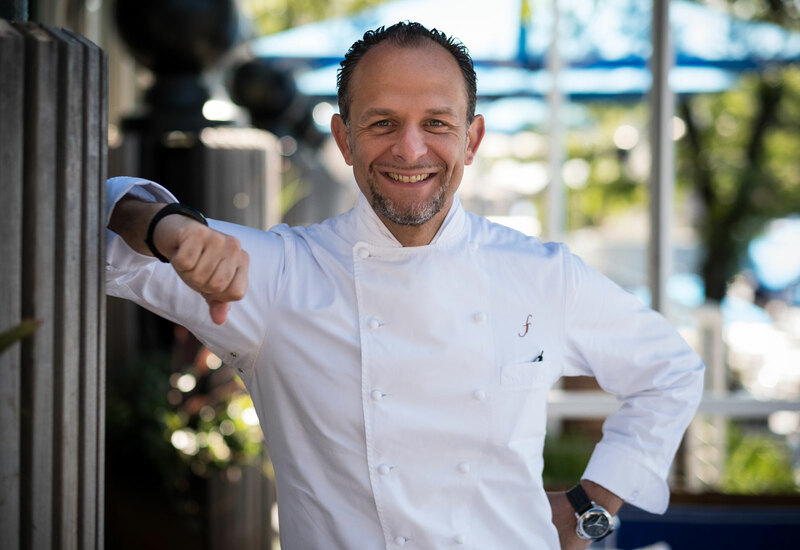 Fabio Trabocchi, who participated in the inaugural Venice Food & Wine Festival at JW Marriott Venice Resort & Spa in May 2018 and will be joining the soon to be announced festival again in 2019. He also manages an impressive portfolio of iconic restaurants in the United States with his wife and business partner, Maria Font Trabocchi, including: Fiola DC, Fiola Miami, Fiola Mare, Sfoglina Pasta House, and Del Mar. The Trabocchis’ growing restaurant group has received numerous accolades including a Michelin star at Fiola DC, the group’s fine-dining flagship restaurant. Both Fabio and Maria Trabocchi stand behind their commitment to providing guests with a world-class dining experience while making them feel at home the moment they walk into each of their restaurants.